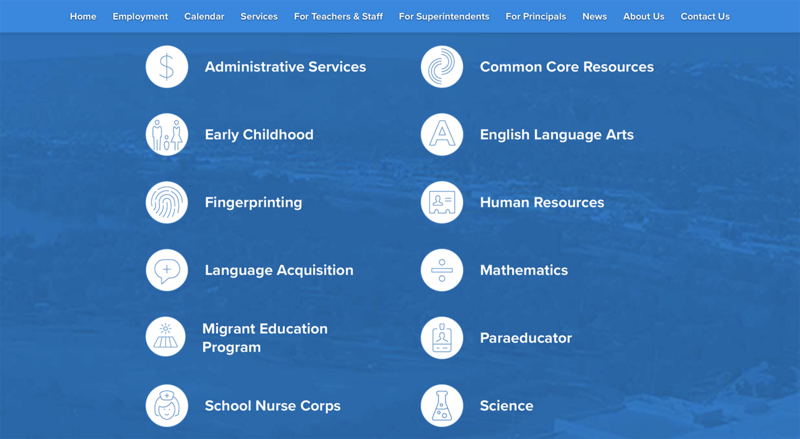 The North Central Educational Service District is a huge organization that spans dozens of employees working across a wide variety of fields in multiple locations. 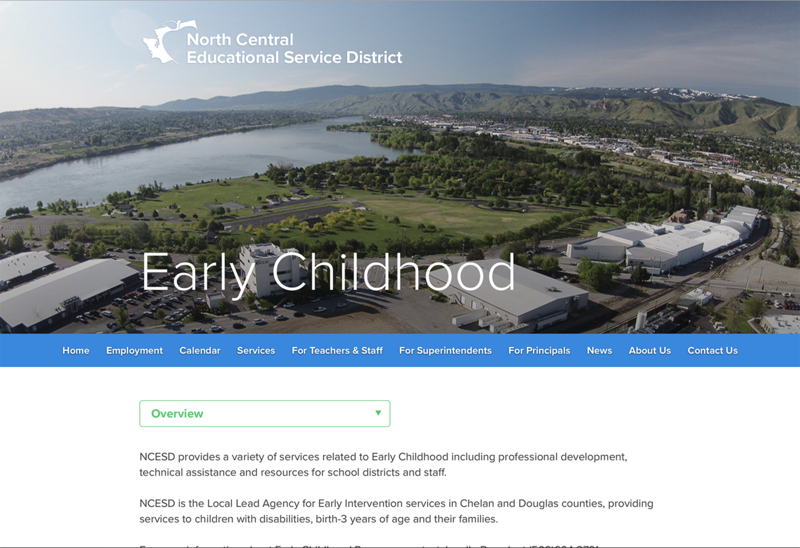 The NCESD was looking for a new website that would completely revamp their online presence by making the services they offered more obvious, putting their staff front and center, and presenting their organization as modern and professional. Jennifer Korfiatis and I teamed up on this project that started with heavy research and planning based on the analytics from the NCESD’s previous site. Having been around for many years it had accumulated a vast number of pages and links that weren’t functioning or never visited. We pared the content down and reorganized it to to make it crystal clear where each type of visitor can find what they’re looking for. The design of the site was completely new and fresh. Bright accents of blue and green set a professional tone that isn’t overly corporate or stiff. Beautiful imagery of the Wenatchee Valley embed the site in its district. Finally clean icons and fonts make the site much easier to scan and read. But the site isn’t all just new pretty pictures, the backend (built in WordPress) has heavy custom functionality that solves the problems the NCESD came to us with. First we created a landing page that is an overview to all of the important services the organization offers. Inside each service category is a consistent series of pages marked by a custom drop-down menu. These pages clean up the majority of the content on the site and make everything clear, ordered, and congruous. We also beefed up the Staff Directory. Not only is it easier to search and find an employee, staff members are placed directly inside the pages of the service category that they work in. This customization was one of the main goals in the initial project scope. A more powerful calendar, easy-to-update job postings, and a revised news section round out all of the extra functionality that was built into this new site. 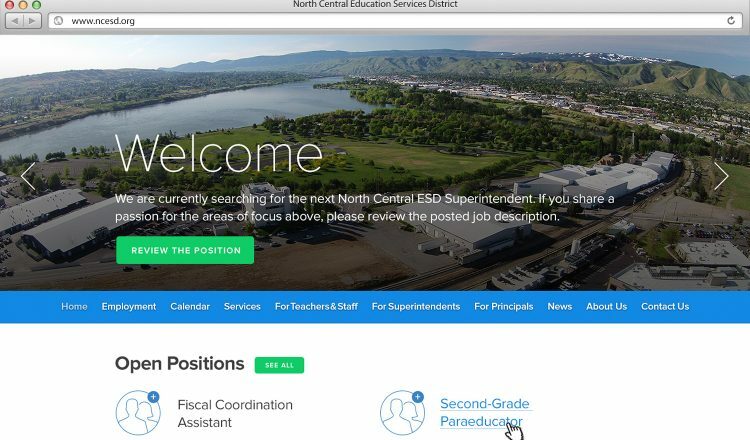 Looking good across all devices, the new NCESD site is everything the team was looking for and more! Now the NCESD finds it easy to update their site and visitors find it easy to discover the content they’re looking for.